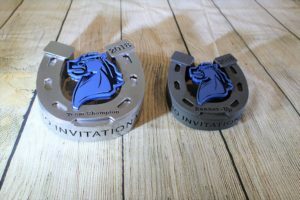 Increase Tournament Registration -Easy Tip! 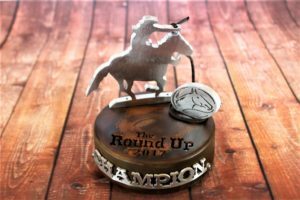 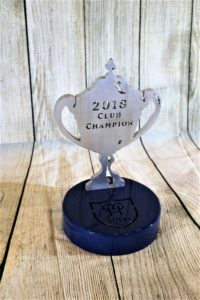 Ordering your 2018 Spring & Summer tournament awards in January is good because: 1) LESS STRESS -There’s less stress for everyone when you have your trophies in-hand before your event. 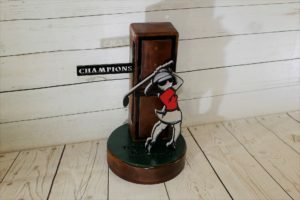 2) PROMOTION -Trophies can create a buzz if you share a photo of it to your members through social media, etc. 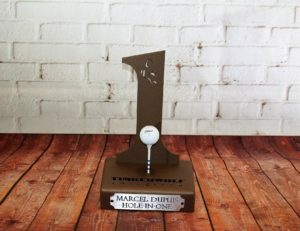 or have the champion awards in the golf shop for display.. I’ve heard that promoting the prizes increases registration numbers. 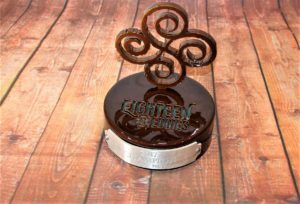 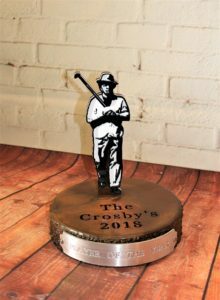 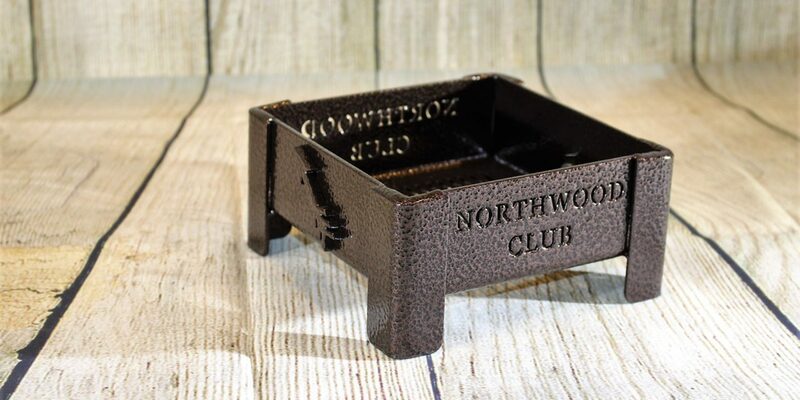 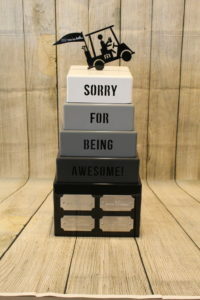 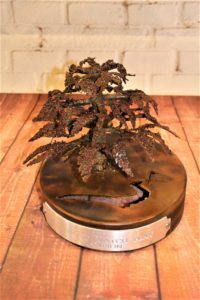 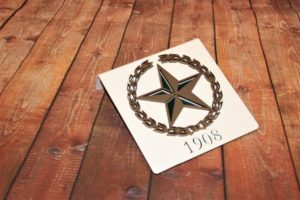 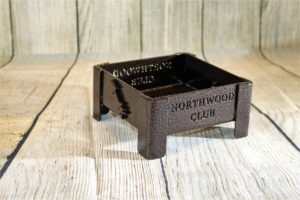 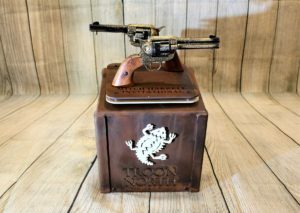 3) SAVE ON SHIPPING -It may seem obvious, but when you order early, we can use Ground shipping, which costs less than expedited shipping… Our clients know that they can count on us to help for a last-minute trophy order (within reason of course), but if you can, why not order early? 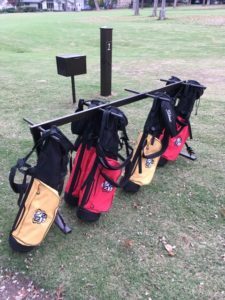 Spanish Oaks Golf Club in Bee Cave, Texas did a bulk order for their 2018 tournament prizes (smart idea). 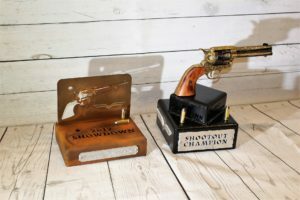 Here’s a few more trophies that have come out of our shop this past couple of weeks. 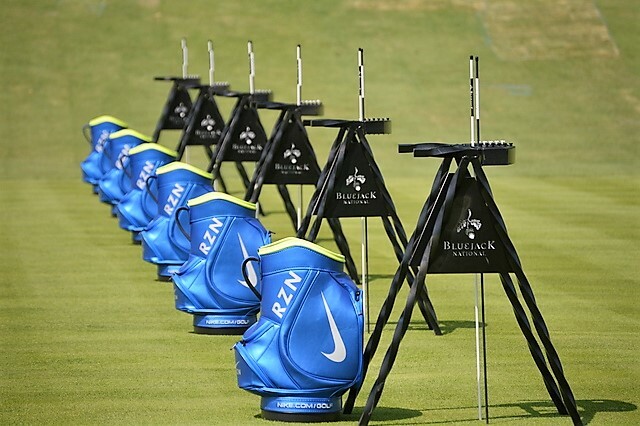 As you can see clubs are gearing up for tournament season!! 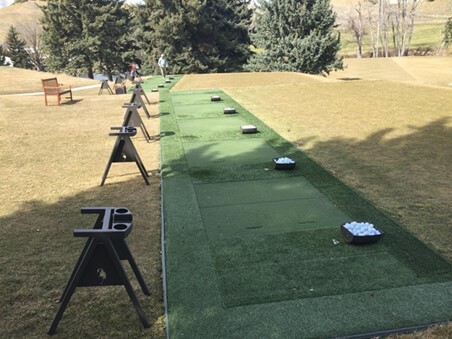 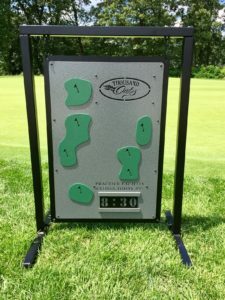 Moving away from the apple crates..
We’ve noticed the fad of the apple crates, but when we use them, we just got frustrated with the balls getting stuck in the crate.. And then we just dumped the balls out onto the grass and then went to hitting balls. 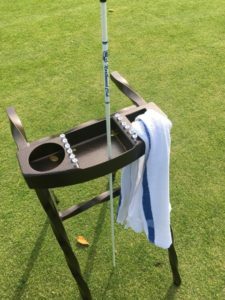 This made the crew get to thinking,, there has to be a ball box that balls easily come out without getting stuck, right? 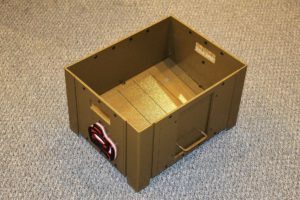 What use is a box that balls get stuck in? 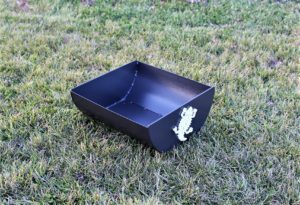 So we went to designing and came up with different baskets and boxes. 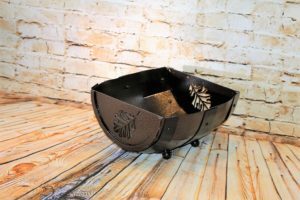 Here’s my personal favorite, the half barrel ball basket. 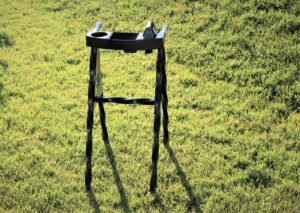 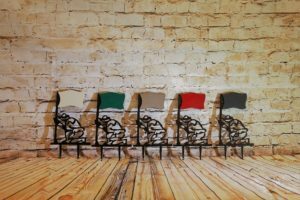 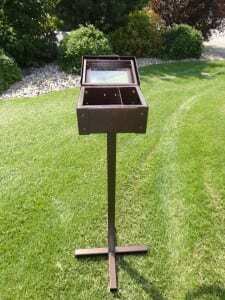 You can position it on its side for a casual look with balls overflowing the side like Verde River Golf & Social Club did, or keep it upright. 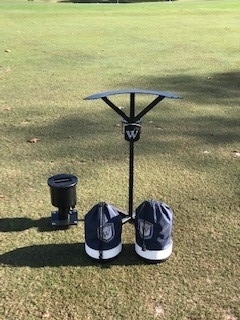 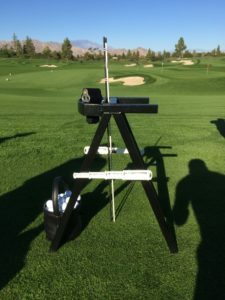 When its upright, the player tips the basket towards them and scoops the balls out with his/her club and then let’s go letting the basket go back into position. 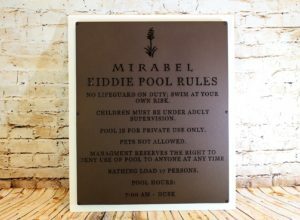 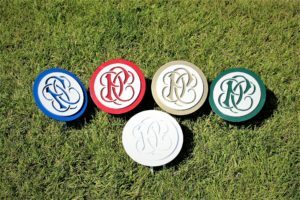 These are priced usually between $160 to $175 depending on the final design & quantity. 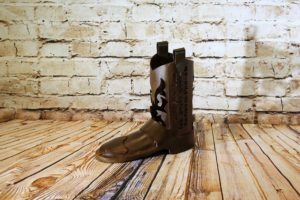 You’ll love these!!! 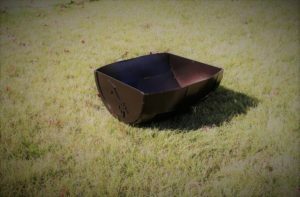 We also make the smooth version of this basket. 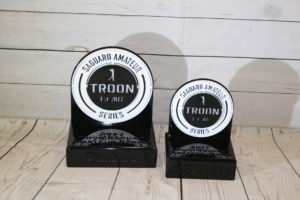 Above is the barrel look, but with Troon North we went with a more modern look. 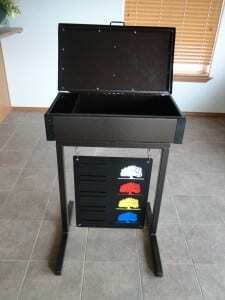 Another alternative to the applecrate is the ball boxes that we build that have a movable door. 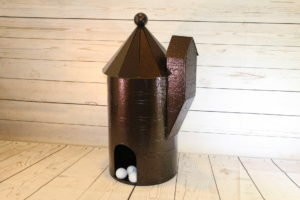 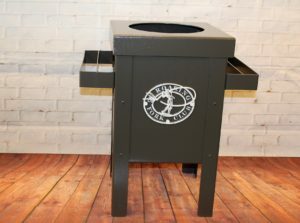 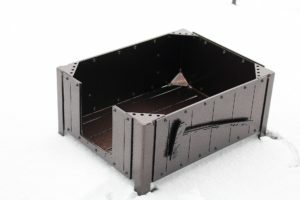 This ball crate has the option of a slanted ramp in the bottom or corner ‘bumps’ that prevent the balls from getting stuck..
And you could always go against the grain and come up with something completely custom with us like Aldarra did last summer with their silo ball dispensers… Let your creative flag fly!! 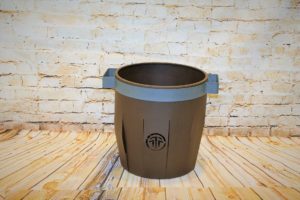 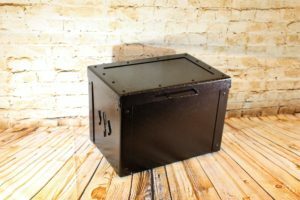 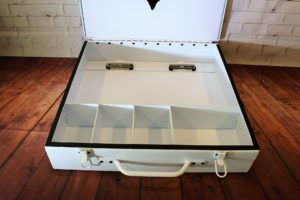 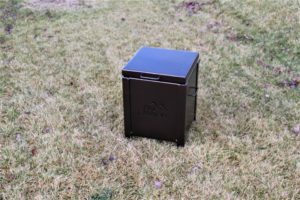 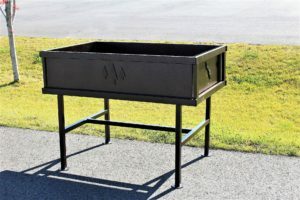 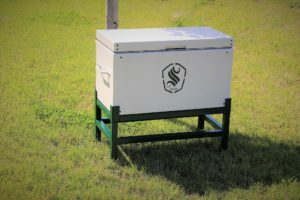 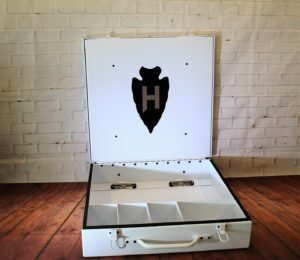 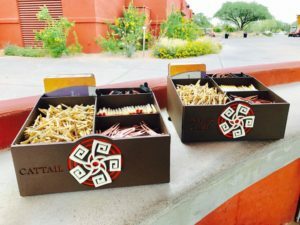 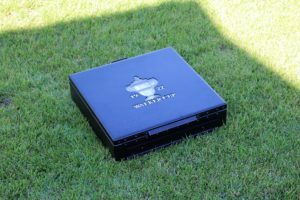 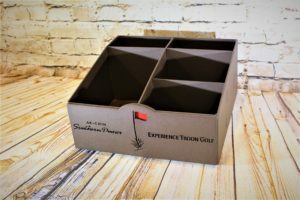 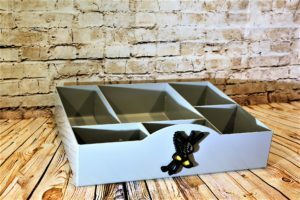 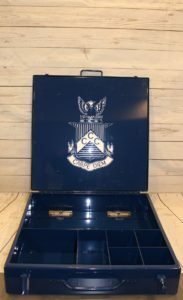 We’ve made a few amenity cart/boxes that were extra special that we want to share with you on today’s blog. 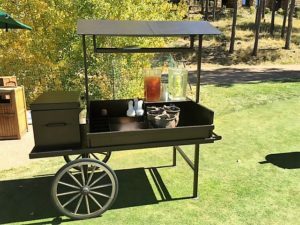 First up is Pine Canyon’s amenity carts. 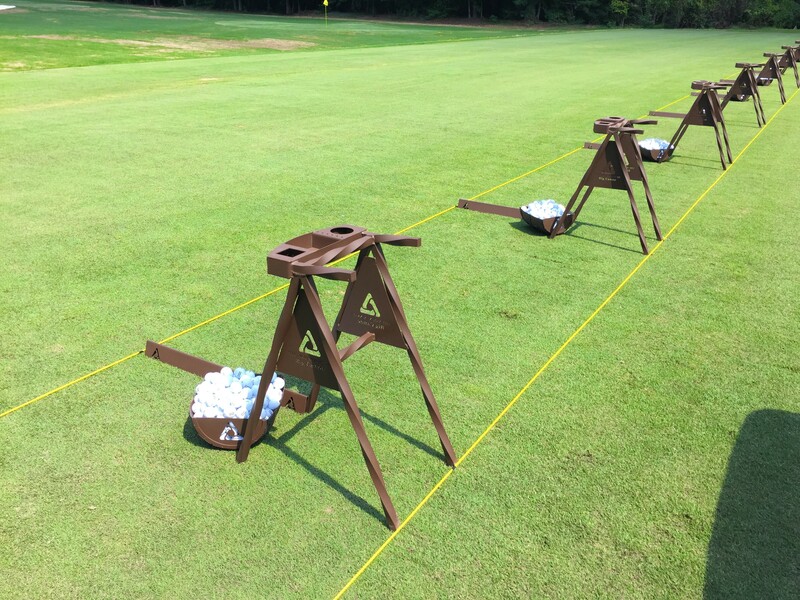 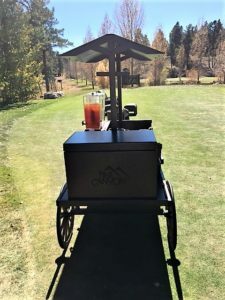 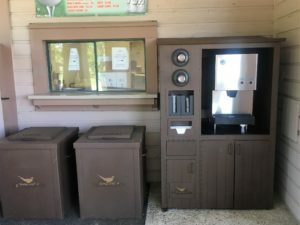 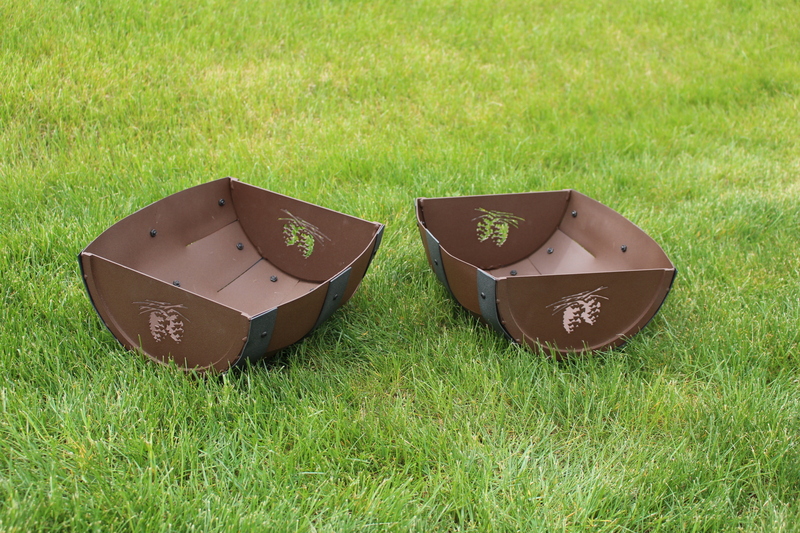 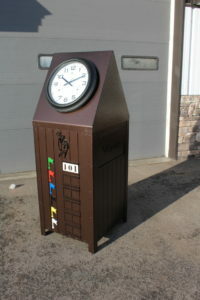 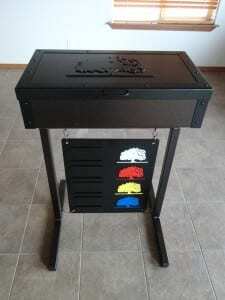 Amenity carts are are a perfect way to keep refreshments, towels, scorecards, tees, etc. 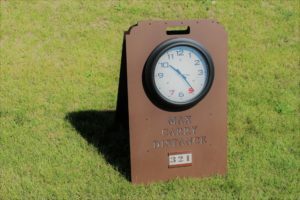 at hand on the 1st Tee. 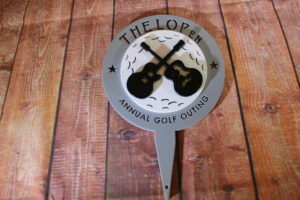 We made a lot of these, but each one is a little bit different (it’s the nature of a custom shop). 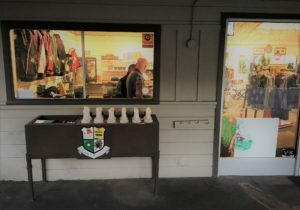 Pine Canyon asked for a small counter that they could display their ice tea and water pitchers. 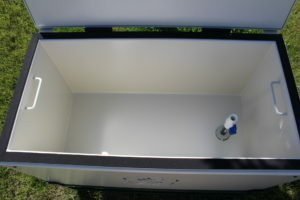 It also has a sun roof and insulated 50 qt cooler. 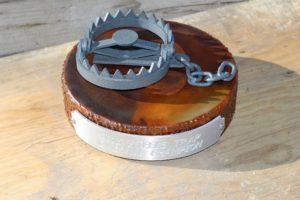 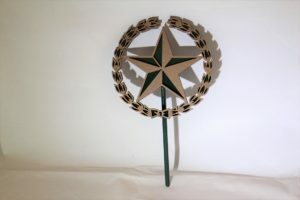 Notice that the wheel are hand carved. 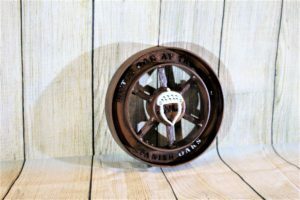 In t his case we left the wheels ‘bare’, but some of our clients like a medium to dark stain to them. 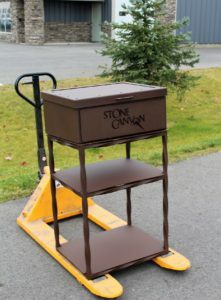 We did a first-time build for The Stone Canyon Club that shipped last week. 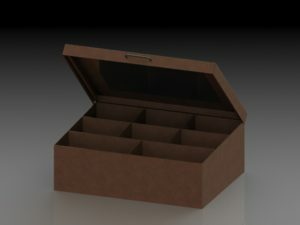 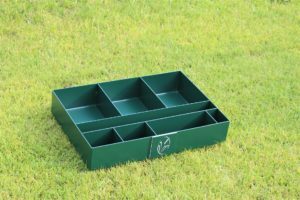 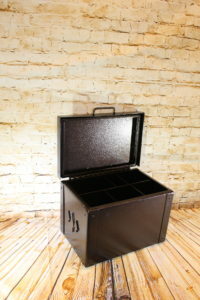 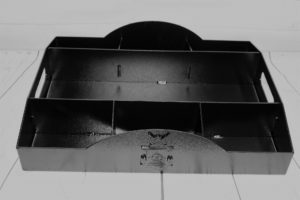 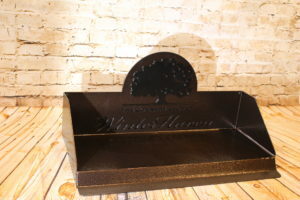 It’s a combination of an amenity box that has a stand with shelves. 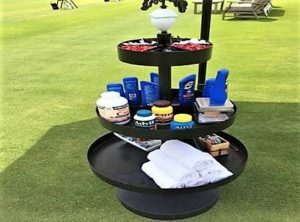 The shelves are designed to hold divot bottles. 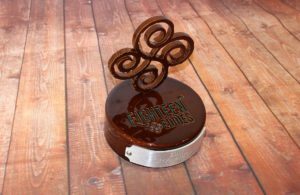 The twisted metal gives it a decorative look. 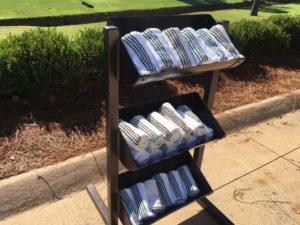 Another amenity solution was what Blue Jack National asked us to design/build. 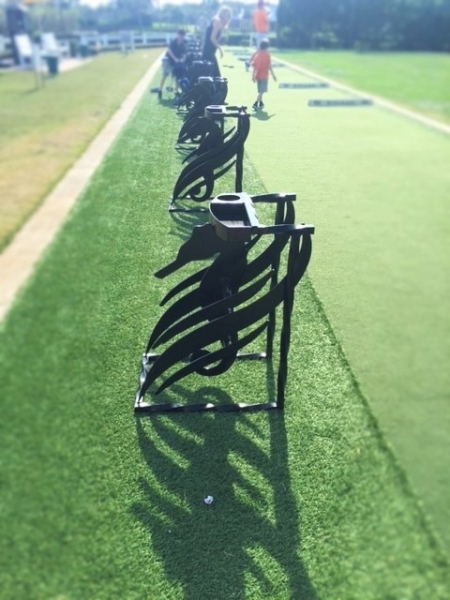 We recently saw this photo and had to share. 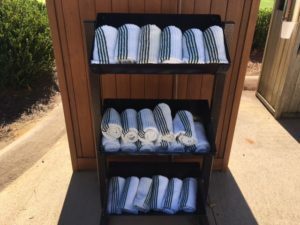 All of these units could potentially hold towels, but here’s what we did for Mountain Brook and Winter Haven with towels in mind. 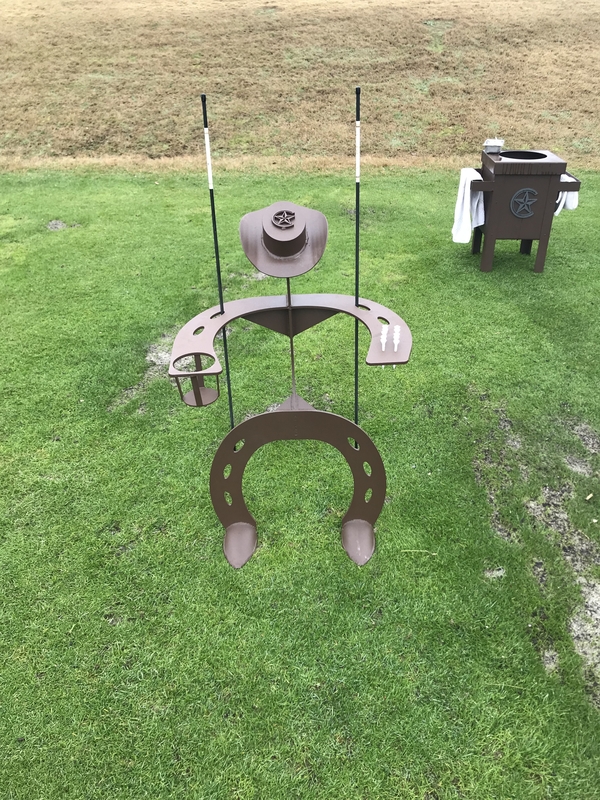 Winter Haven GC had us to a combo unit with their driving range sign to keep their range clean and clutter free looking (beautiful course). 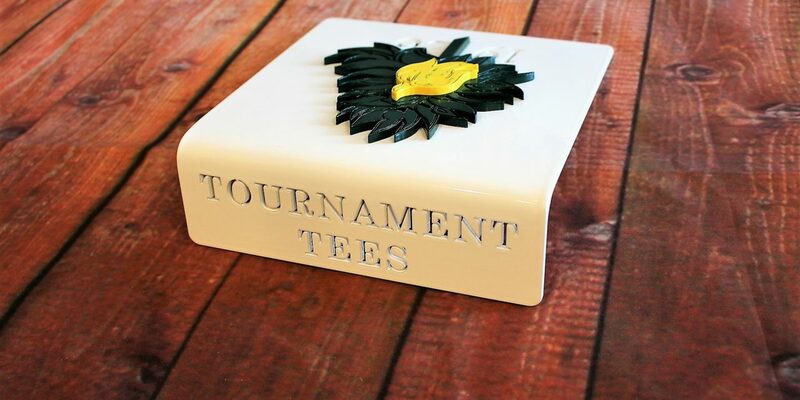 There’s a lot of details and planning involved in tournaments. 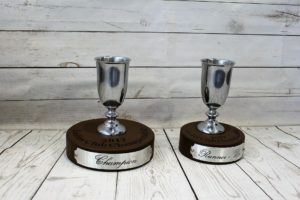 One of the questions comes up, what do we give the champions? 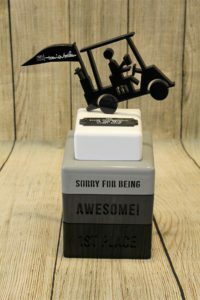 Do we give a trophy to the flight winners? 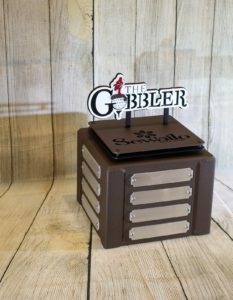 This past week we’ve worked with a couple of clients that show a great example of a consistent presentation in give-aways. 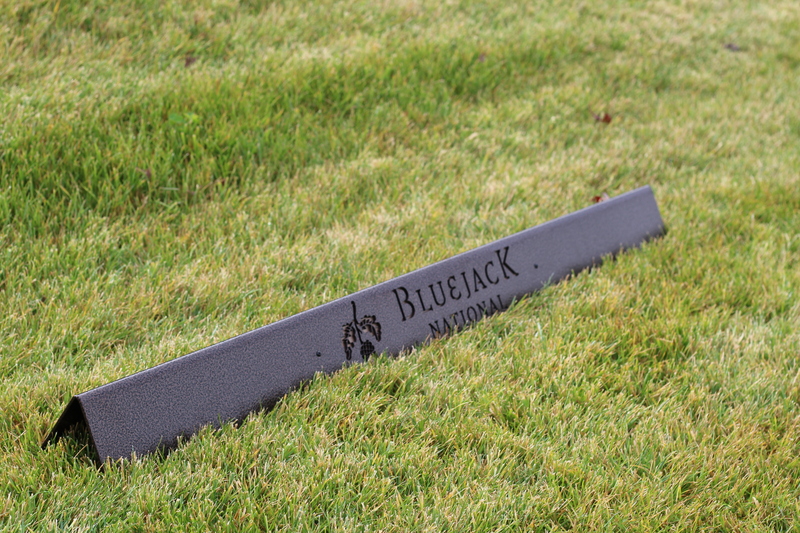 First is Blue Jack National. 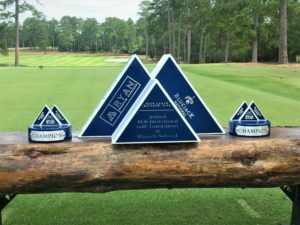 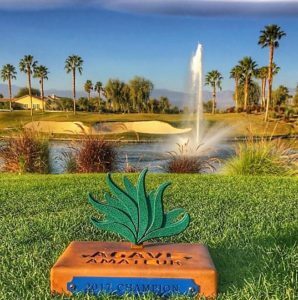 For their Annual AVM Golf Tournament, we used the tournament’s logo as the main focus for their perpetual trophy, and for their champion awards. 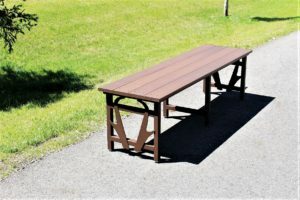 You can see how nice in looks on their prize ‘table’ (it’s actually a custom made log bench that we sent them a few years ago). 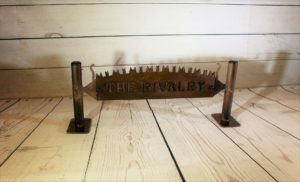 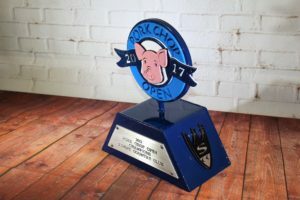 We’ve worked with Rib Crip Corp. for several years to make trophies fr their Pit Masters Tournament. 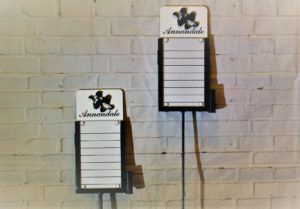 Here’s what we did this year. 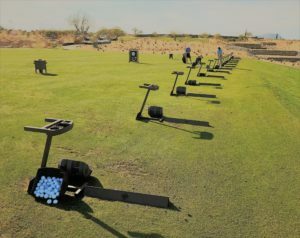 This was the first time that we worked with Desert Lakes Golf Club in Fort Movae, AZ. 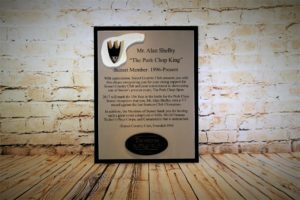 We worked closely with their gm in producing what he envisioned. 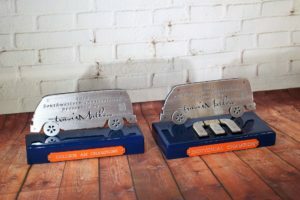 We engraved their sponsor info on the top plates of the trophy bases. 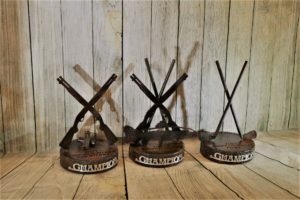 Last up for this post, is the annunal ‘Swing & Sting’ trophies that we have done the past few years for Victory Ranch in Utah. 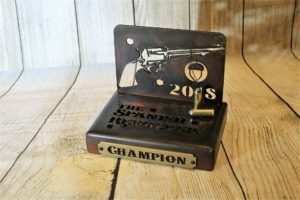 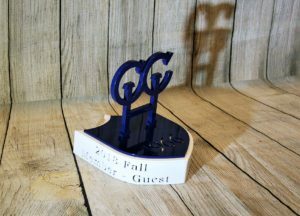 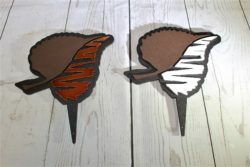 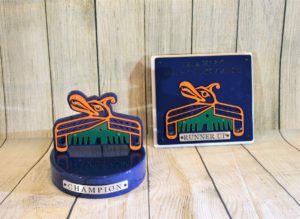 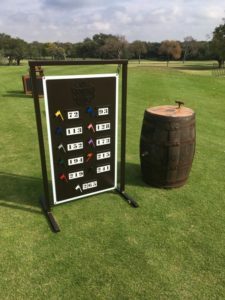 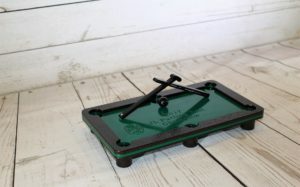 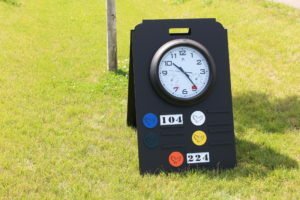 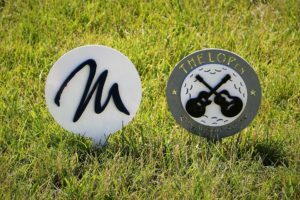 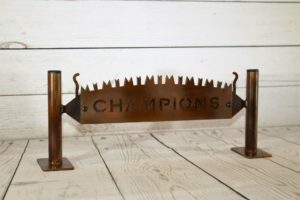 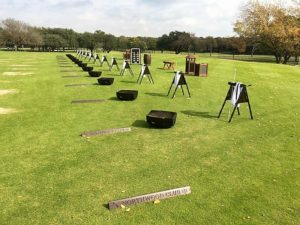 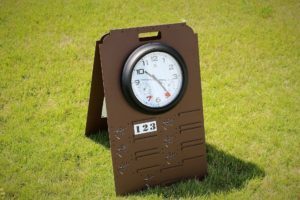 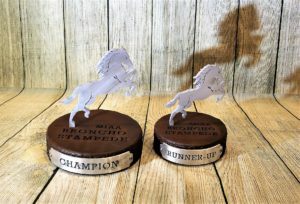 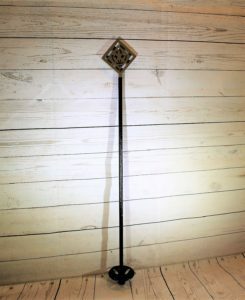 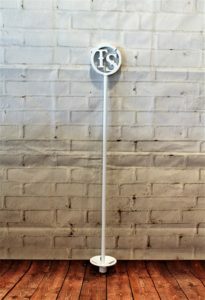 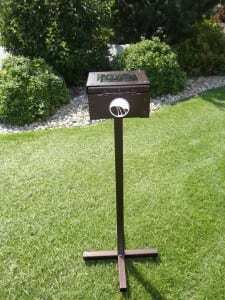 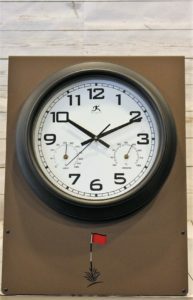 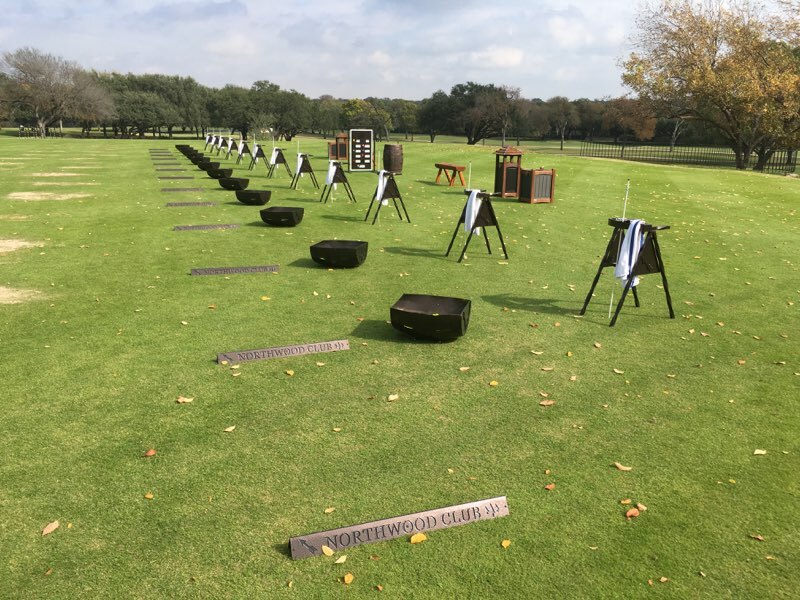 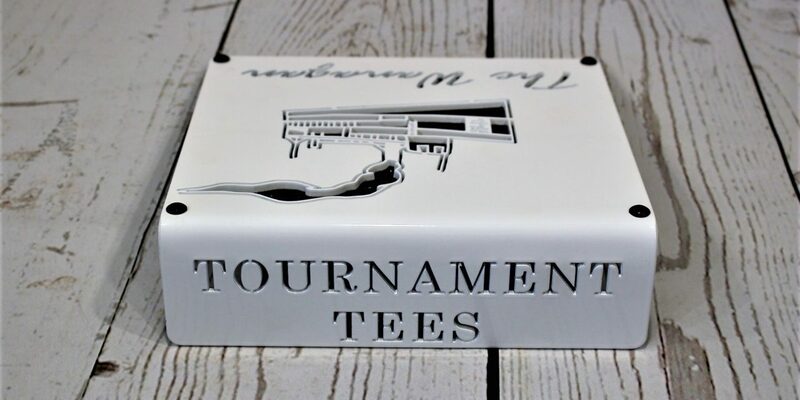 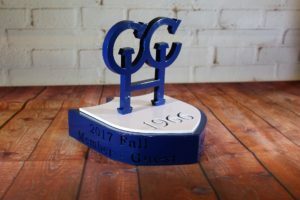 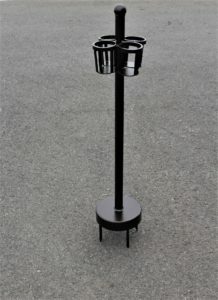 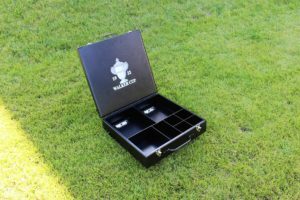 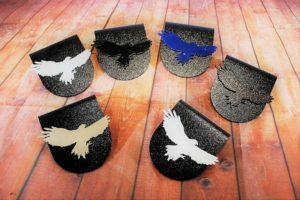 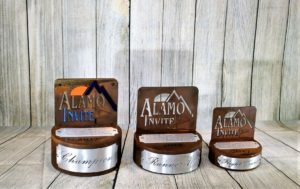 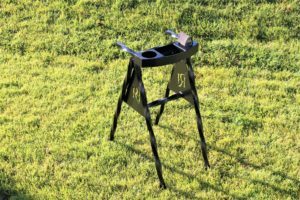 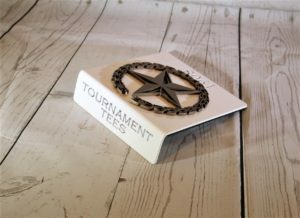 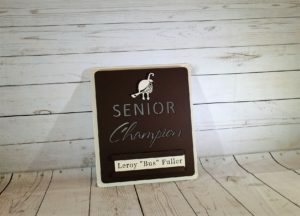 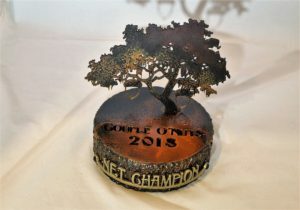 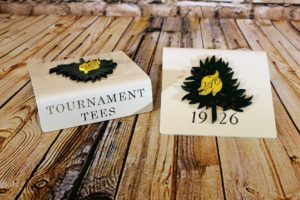 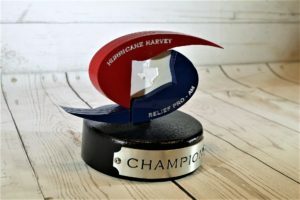 Tournament Tee Markers & More! 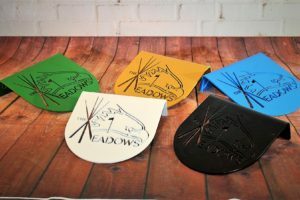 This week was the week of tee markers and trophies..
First off are the 5 sets of tee markers that we made for The Meadows at Mystic Lake. 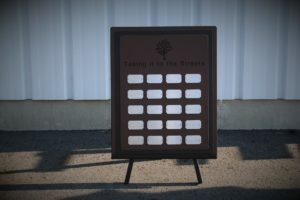 We also made tournament markers for an event held at the Lake Forest CC. 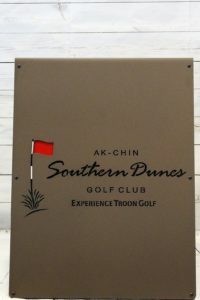 Their event had a tournament logo and a sponsor logo. 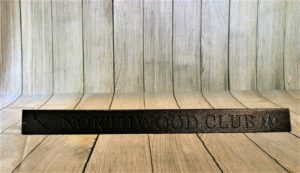 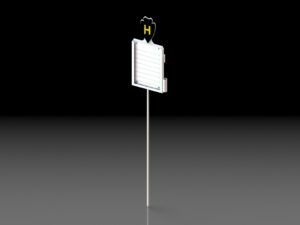 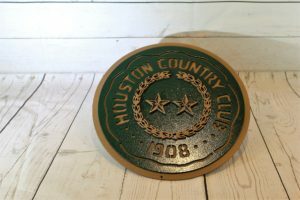 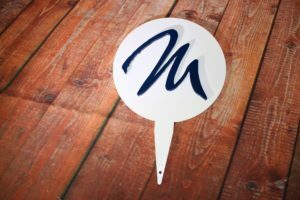 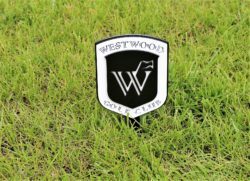 We thought about making a double sided tee marker, but after thinking about it, we all decided to do 18 with one logo and 18 of the other logo for a sleeker presentation. 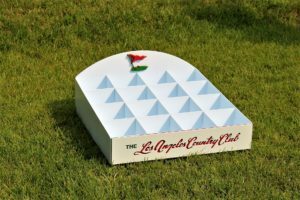 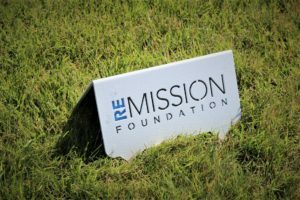 Then we made A-frame tee markers for the Remission Foundation event. 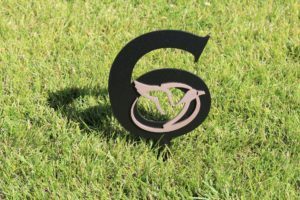 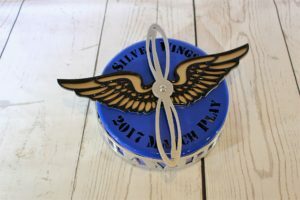 This is particularly a great style if you need to stack and store them (perfect for event markers). 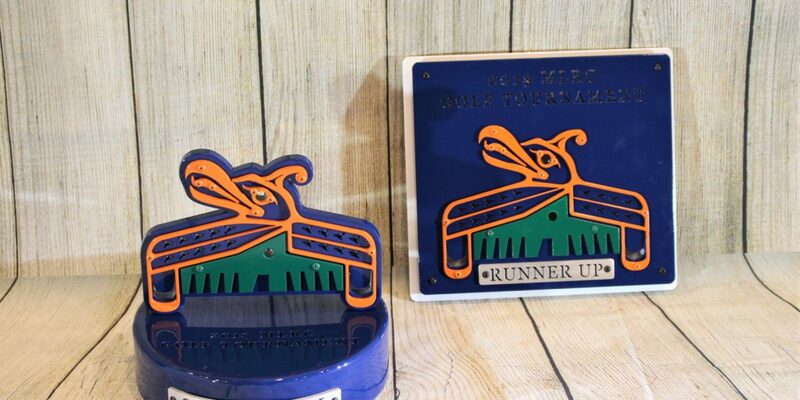 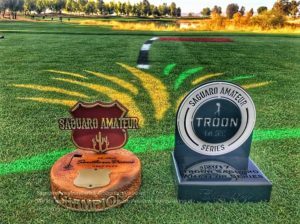 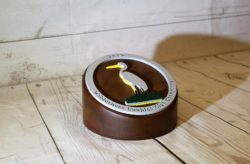 We’ve made trophies for Eagle Bend for years, but this year they wanted to add-on tournament tee markers to ramp up the presentation. 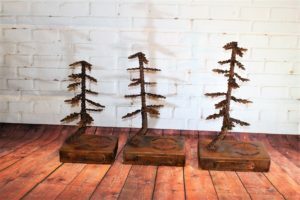 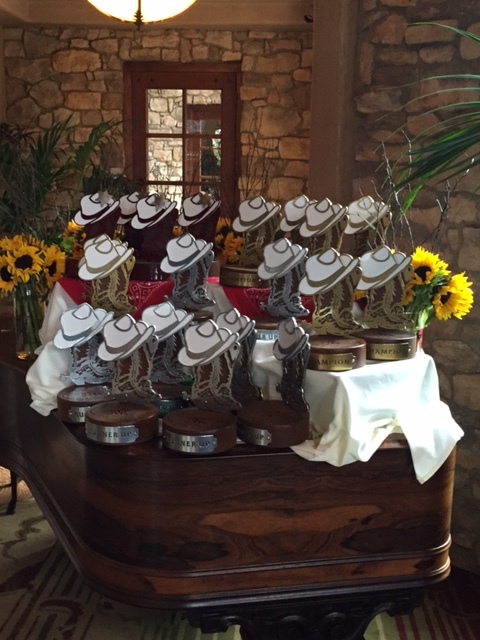 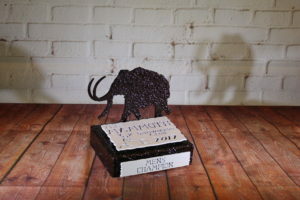 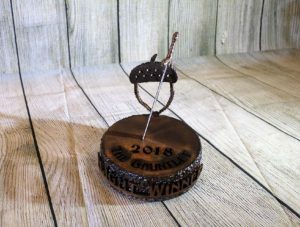 For awards we made juniper tree trophies for Pronghorn, mammoths for Snowmass and cowboys for The Club at Olde Hawthorne. 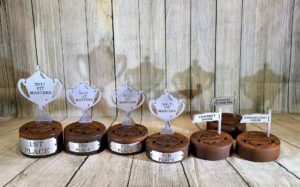 You can tell that we make a wide variety of awards.. Each one is designed for our particular client to fit what works for them best. 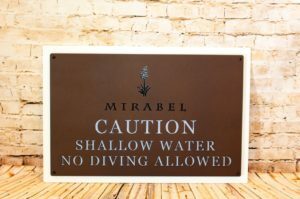 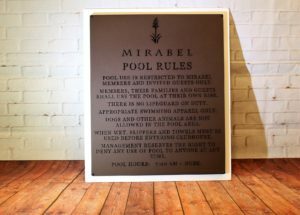 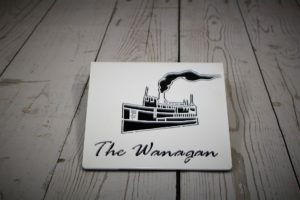 We also make perpetual boards, here’s one we shipped for Toscana. 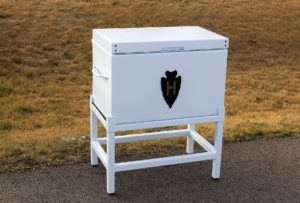 Then there’s insulated coolers like the ones that we did for Sonoma. 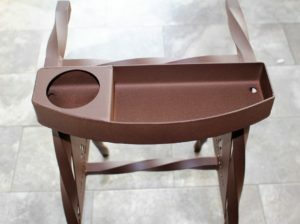 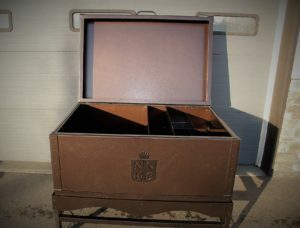 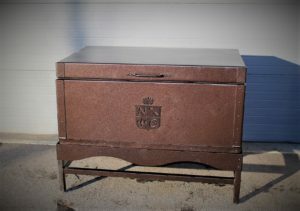 Also for water solutions, we built a metal version of a teak beverage station. 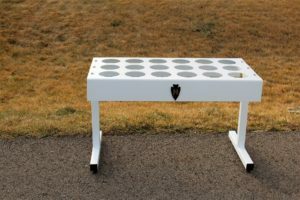 Last to share today is the custom bench that we made for Pronghorn.